This indispensable reference work is designed for individuals in the import and export industry. It is structured in a comprehensive manner and can be used by both the seasoned clearing agent as well as the novice. The set comprises of two comprehensive binders which are regularly updated and which include all the crucial information you need to complete documentation for SARS. We’ll ensure that you always have access to the most current content and tariff amendments with our swift update service, access to the online portal, email alert services and weekly newsletters. Weekly Customs Watch to keep you updated on the latest amendments and Customs News Bulletin to update you on the latest news. Get 12 months’ worth of FREE updates with your subscription. Service Issues are sent out as and when new amendments are received. for the EU, EFTA, SADA and MERCOSUR. Includes South African Harmonized System codes up to 8 digits with article descriptions. Online access means you will never miss an amendment. Also access the Online Duty Calculator, Archives, Prohibited and Restricted Goods Index and more. Information on the amendment references are included so you can track the history and know exactly when changes to the tariff took place. 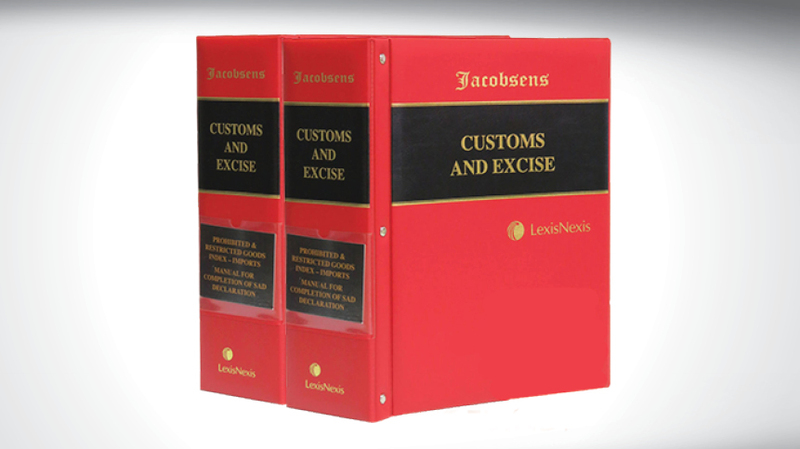 Comprehensive index to prohibited and restricted goods, which includes the Manual for Completion of SAD Declarations and the Customs & Excise Rules, Regulations & Forms. been published, they are not yet in operations. However, due to demand, we have produced this soft-cover book, containing them. 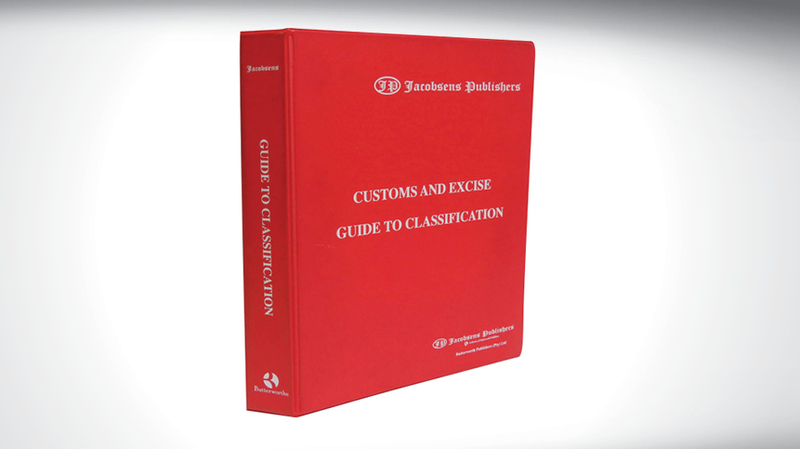 Comprehensive guide to easy tariff classification according to the Harmonized Commodity Description and Coding System in SA. 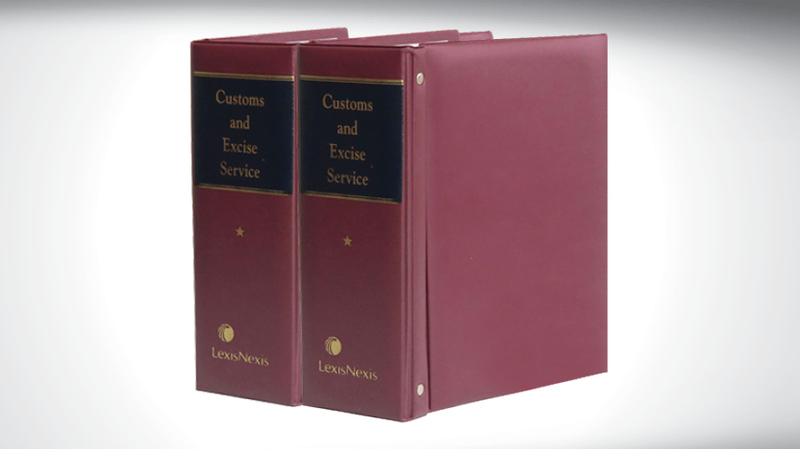 LexisNexis has been of great value to me during training facilitation with regard to accessing Customs & Excise legislation and other related legislation applied by other government agencies.